There is a growing body of peer-reviewed literature relevant to post-graduate training programs. You can find some such literature organized chronologically here. Blasi, P. R., Cromp, D., McDonald, S., Hsu, C., Coleman, K., Flinter, M., & Wagner, E. H. (2018). Approaches to Behavioral Health Integration at High Performing Primary Care Practices. The Journal of the American Board of Family Medicine, 31(5), 691-701. Flinter, M. and Bamrick, K. Ed. Kathleen Thies. (2018) Training the Next Generation: Residency and Fellowship Programs for Nurse Practitioners in Community Health Centers. Accessible for PDF download at: https://www.weitzmaninstitute.org/NPResidencyBook . Flinter, M., & Hart, A. (2017). Thematic elements of the postgraduate residency year and transition to the role of primary care provider in a federally qualified health center. Journal of Nursing Education and Practice, 7(1). Flinter, M., Hsu, C., Cromp, D., & Wagner, E. (2017). Registered Nurses in Ambulatory Care. Emerging new roles and contributions to team-based care. Journal of Ambulatory Care Management, 40(4), 287-296. Naegle, M., Mitchell, A.M., & Flinter, M. (2017). Opioid Misuse Epidemic: Addressing opioid prescribing and organizational initiatives for holistic, safe, and compassionate care. Nursing Outlook. Delaney, K., Naegle, M., & Flinter, M. (2016). Critical workforce issues for registered and advanced practice nurses in integrated care models. Nursing Outlook. Bush, T., Lowery, B. (2016) Post Graduate Nurse Practitioner Education: Impact on Job Satisfaction The Journal for Nurse Practitioners. 12 (4). 226-234. Norwick, R. (2016) Family Nurse Practitioner Residency for Recruitment and Retention. The Journal for Nurse Practitioners, 12(5), e231-e233. Sciacca, K. & Reville, B. (2016) . Evaluation of Nurse Practitioners Enrolled in Fellowship and Residency Programs: Methods and Trends. The Journal for Nurse Practitioners, 12 (6), 75-80. Wilcox, M. A., Broyhill, B. H., Taylor, D. A., & Williamson, S. B. (2015). The lifecycle of the advanced clinical practitioner. Nurse Leader, 13(2), 27-30. Ladden M. D., Bodenheimer, T., Fishman N. W., Flinter, M., Hsu, C., Parchman, M., & Wagner, E.H. (2013). The Emerging Primary Care Workforce. Preliminary Observations from the “Primary Care Team: Learning from Effective Ambulatory Practices” Project. Academic Medicine, 88(12), 1830-4. M Flinter – OJIN: The Online Journal of Issues in Nursing, 2011. gm6.nursingworld.org. Goudreau, K. A., Ortman, M. I., Moore, J. D., Aldredge, L., Helland, M. K., Fernandes, L. A., & Gibson, S. (2011). 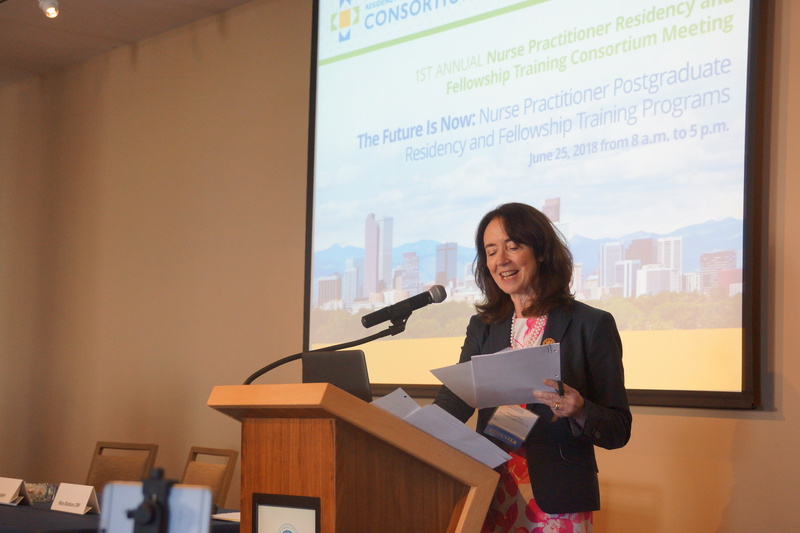 A nurse practitioner residency pilot program: a journey of learning. Journal of Nursing Administration, 41(9), 382-387. Flinter, M.; Swan, T. Report to the Connecticut General Assembly; Achieving the goals of universal access and transformation healthcare. Submitted February 24, 2009. Flinter, M., (2005). Residency Programs for Primary Care Nurse Practitioners in Federally Qualified Health Centers: A Service Perspective. Online Journal of Issues in Nursing, 10 (3), 5.